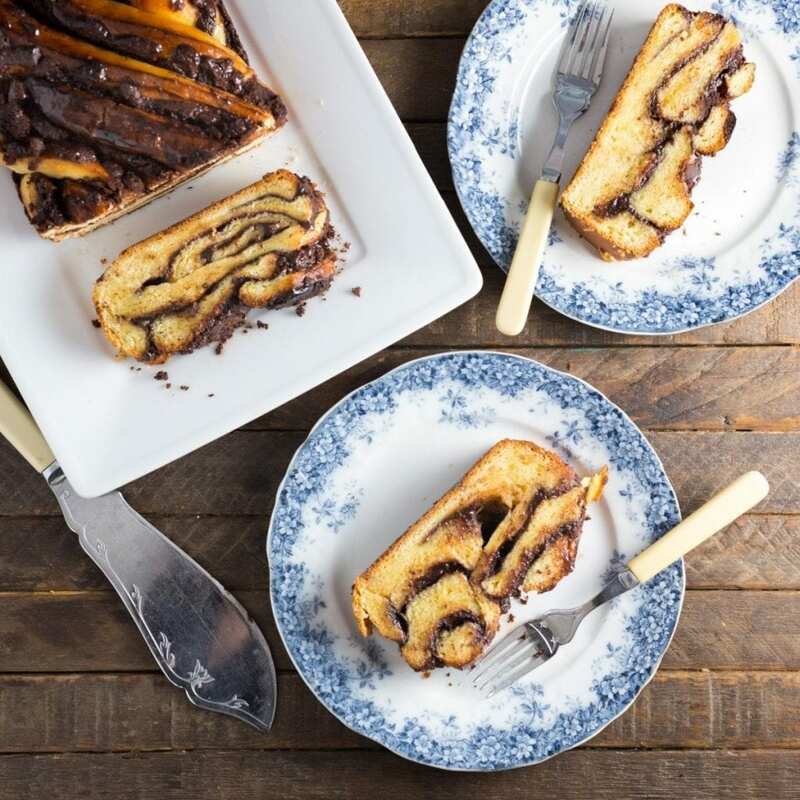 Chocolate babka: a sweet bread treat made with enriched dough and layered with chocolate – a weekend project you’ll be glad you made. Greetings, Easter (and Passover***) bunnies! ***This babka is leavened and therefore not suitable for Passover, if your family, unlike ours, cares about such things. Read Matt’s full, sincere and amusing apology at the bottom of the post. It may have slipped out in the course of this blog that one of us is Jewish, and the other of us is English. These are not, frankly, genres that strike awe into the hearts of home chefs (although Nigella Lawson does pretty well for herself) . When our best friends in town got married, they catered the reception with dishes from Italy (his family heritage), and soul food from New Orleans (hers). It was awesome. A Jewish-British catered wedding? Maybe not so much. An Easter/(not)Passover*** dessert option, though? Now you’re talking. 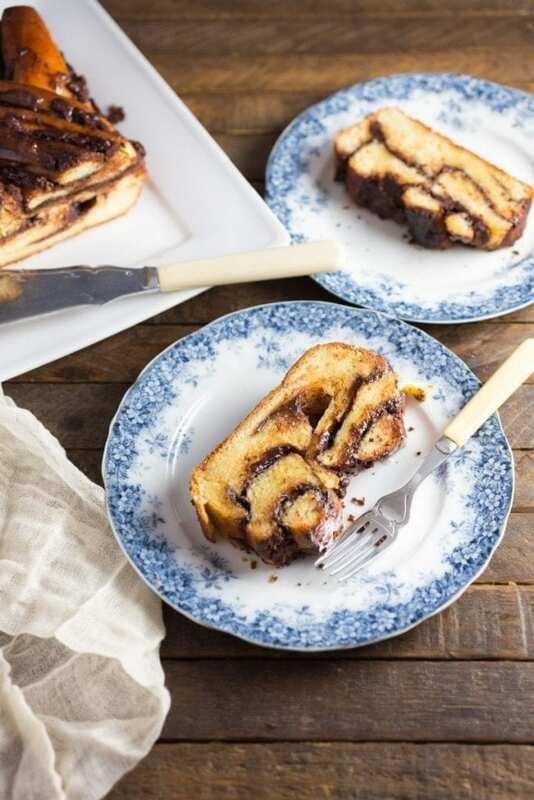 This Babka is filled with rich, dark chocolate with just a hint of cinnamon. We’re both serious chocoholics (yeah, we kept that quiet). Back in the old country, the annual family Easter egg hunt would result in us kids getting three or four big chocolate eggs, each of which would be devoured piecemeal until the point where you felt slightly sick (and then you would have some more anyway). In candy terms, Easter is effectively the British version of Hallowe’en, but without the ghosts. Every store is legally obliged to turf out half their normal stock and replace it with aisles of chocolate. Doesn’t matter if the store doesn’t normally sell food. Could be an optician. Could be the post office. Law still applies. With all that said, I don’t have any way to actually make a chocolate egg (YET), so Emily had a better idea. Most passover food, while it can be made very well, is generally uninspiring. (Noodle kugel! Hooray! Said nobody ever.) But there is this fantastic thing called babka. 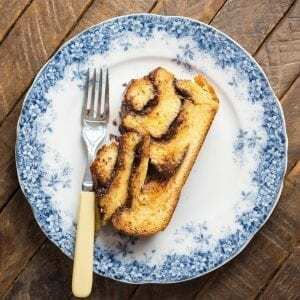 It is a sweet dessert bread made with enriched dough, and it is filled with chocolate, and normally you would just go and buy a chocolate babka from Zabar’s, and that would be it. But home-made is way better. 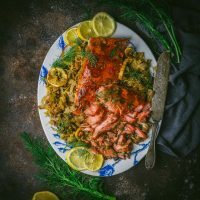 We thought it would be an intimidating recipe, but found an excellent and really easy method from Smitten Kitchen. Like regular bread, you do have to prepare the dough beforehand and let it proof overnight, but that’s really the only slight complication. The enriched dough is really fun to work with – the added eggs and butter stops the gluten structure building up, so it stays pliable and is easily rolled. Here’s a little gallery of the process. Note that the tighter you roll it, the thinner and more striated the resulting spiral of dough and chocolate will be. We didn’t do a very tight roll for this bake, but it turned out pretty well-balanced. You could top the cake with streusel, but we didn’t bother: the sugar syrup applied after baking (you could also use warmed honey) gives it a great, sticky-sweet finish. 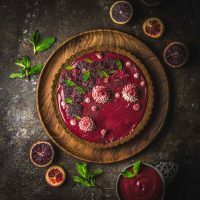 This would be a great dish to bring to either Passover or Easter, or to have as a teatime treat, or for breakfast with coffee. 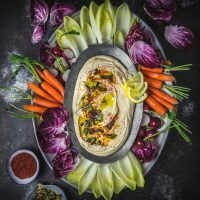 A note from Matt about his leavened Passover kerfuffle. 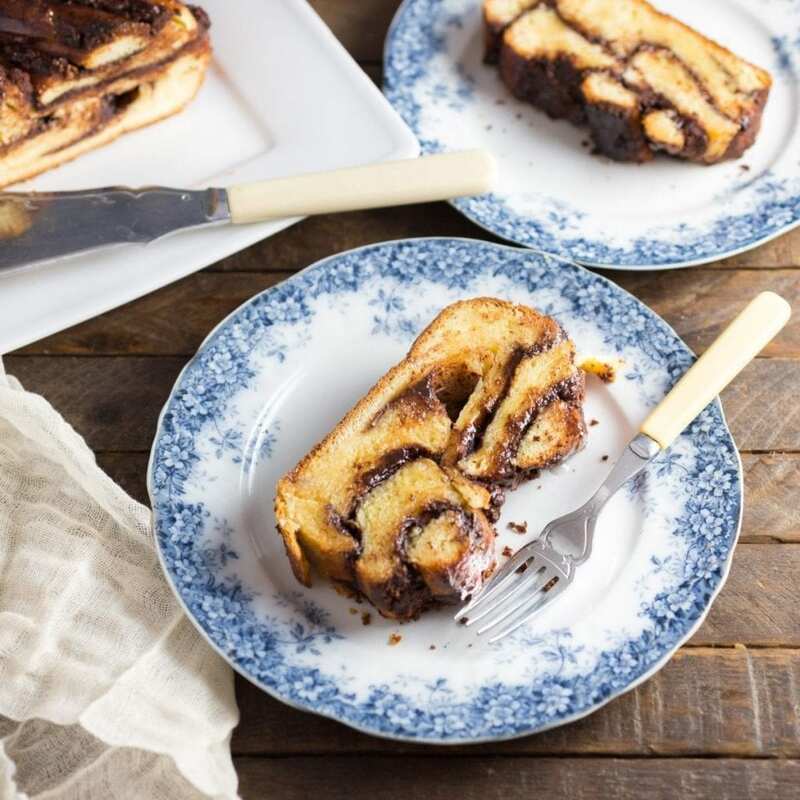 I want to make a clarification about this post: You might remember that one of us (okay, it was me) declared chocolate babka to be an excellent treat for either Easter or Passover, whichever was your preference. We were inundated with literally several letters pointing out that the babka is yeasted, and a traditional Passover, one might say, tends to skew towards the unleavened. The Hebrews fleeing Egypt weren’t, after all, told “Take what you have and scarper, there’s no time to let your bread rise, oh, unless you’re making babka or something, that would be awesome, oh, good work on the pyramids btw”. So, my apologies for that slip, and please tell Uncle Mort it won’t happen again. Make the dough: Fit a stand mixer with a dough hook (preferred method; you can hand-mix but it's much more work). Combine the flour, sugar and yeast in the mixer bowl. Add the water and eggs (no need to pre-scramble) and mix together for a few minutes. If the dough doesn't combine into a mass, add a little extra water, 1 tablespoon at a time (you shouldn't have to add more than 2-3 tbsp). Add the salt, then, gradually, the butter, mixing all the time, until it’s fully incorporated into the dough. Continue mixing on medium speed for about 10 minutes - at first, you'll think there's too much butter for the dough to ever solidify, but after a while you should find that the dough becomes quite smooth and looks like a regular bread dough. Lightly oil a bowl or proofing tub - whichever will fit in your fridge - and set the dough in it. Lightly cover the dough with plastic (this will prevent the top of the dough drying out) and leave in the fridge overnight. It will grow a little in size as it proves. Make the filling: Put the butter and chocolate into a microwavable bowl and heat for 10-second increments, mixing after each burst, until fully melted and smooth. Stir in the sugar, cocoa and cinnamon. Split the dough into two equal halves. Put one half back into the fridge in cling wrap while you prepare the first loaf. Lline two 9"x4" loaf pans with parchment paper. Take half of dough from fridge (leave the other half chilled). Roll the dough out on a well-floured counter to roughly a 10"x12" rectangle. Don't worry if it's not exact. Spread half of the melted chocolate evenly over the dough, leaving an uncovered border of half an inch. Brush one short side with water (this will help it stick once it's rolled). Starting at the opposite side, roll the dough into a tight spiral and crimp the wetted side onto the roll to seal it. Wrap in cling wrap and place in the freezer for 15 minutes to chill while you make the second loaf. The final step is to assemble the loaf. Trim the ends of the chilled loaf, about a half inch, to give you a clean edge and reveal the spiral inside. Cut the roll in half along its full length, so that the insides are exposed, and then lay the two cut halves side by side on the counter with the chocolate side on top. Pinch the top ends gently into each other, then lift one half over the other, keeping the chocolate side on top, and again push the bottom ends into each other to maintain the structure. Lift the whole loaf carefully into your loaf pan. Repeat with the second loaf. Cover the pans with a damp tea towel and leave to rise another 1½ hours at room temperature. Finally, bake in a preheated oven at 375°F (190°C) for about 30 minutes (check with a skewer after 25 minutes; you don't want to see dough on it). You can put it back in for 5 minutes at a time if it's not quite ready. Meanwhile, add the sugar and water to a small pan and simmer for a couple of minutes. Once the babkas are out of the oven, brush the syrup onto the top of both. Leave to cool on a rack for 20 minutes. 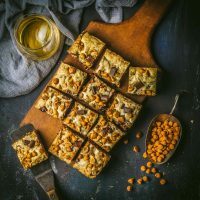 I’ve made this before and it’s a great recipe! But as a note, I wouldn’t mark it as a Passover recipe, since traditionally anything made with flour is not supposed to be eaten on Passover. Your babka looks so good! I’ve always wanted to know how to make a proper chocolate babka after I tried it a couple of times at my local bakery. Guess I have no excuse not to do it now. Ha! I generally find food blogs annoying…just blah,blah blah., can I please just have the recipe? But this one is hilarious and I read the whole thing…twice! Thanks for the laughs and the delish recipe! You’re very welcome! Happy to help with the laughs and the recipe!